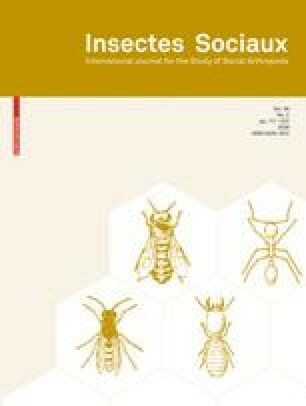 Understanding decisions about the allocation of resources into colony growth and reproduction in social insects is one of the challenging issues in sociobiology. In their seminal paper, Macevicz and Oster predicted that, for most annual insect colonies, a bang–bang strategy should be favoured by selection, i.e. a strategy characterised by an “ergonomic phase” with exponential colony growth followed by a “reproductive phase” with all resources invested into the production of sexuals. Yet, there is empirical evidence for the simultaneous investment into the production of workers and sexuals in annual colonies (graded control). We, therefore, re-analyse and extend the original model of Macevicz and Oster. Using basic calculus, we can show that sufficiently strong negative correlation between colony size and worker efficiency or increasing mortality of workers with increasing colony size will favour the evolution of graded allocation strategies. By similar reasoning, graded control is predicted for other factors limiting colony productivity (for example, if queens’ egg laying capacity is limited). We would like to thank Thomas Hovestadt and two anonymous reviewers for their helpful and valuable comments on earlier drafts of the manuscript, and Christian Hausler for help with the English language. This work was supported by the Deutsche Forschungsgemeinschaft (SFB 554, TP C6).